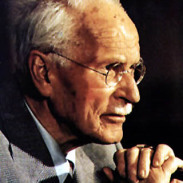 Carl Gustav Jung (1975-1961), known as" C.G." to his family, friends, and colleagues, was a Swiss psychiatrist and pioneer in the field of psychology which was just beginning to find its footing as a new science during his lifetime. Jung is also one of the founding fathers of "Depth Psychology", the study of the unconscious, along with Sigmund Freud, Eugene Bleuler, Pierre Janet, and William James. What most of us know today as "Jungian Psychology" also goes by the term "Analytical Psychology"-- C.G. Jung's own term for it--and is contained in the larger field of Depth Psychology. While Depth Psychology has gone on to embrace more broadly fields like ecopsychology and psychologies of liberation and draws heavily from philosophy, anthrolopology, cultural studes, feminist thought, as well as the new sciences like biophysics, quantum theory, complexity theory, and even neuroscience, Jungian psychology has stayed mostly focused on the study of the unconscious and ways in which we can dialogue with it for greater understanding of self and world. Jung's work with archetypes and symbols as a way to understand the invisible domain that is at work in our lives at all times, lends itself to the study of dreams, myth, and fairy tales--as well as to practices such as active imagination, art therapy, or dreamwork. Jungian psychotherapy, offered by licensed clinical psychologists specifically trained to be Jungian analysts, involves talk therapy using Jungian techniques. Each analyst undergoes years of psychoanalysis of their own during the certification process. For more, read this article by Jungian analyst Michael Vannoy Adams.